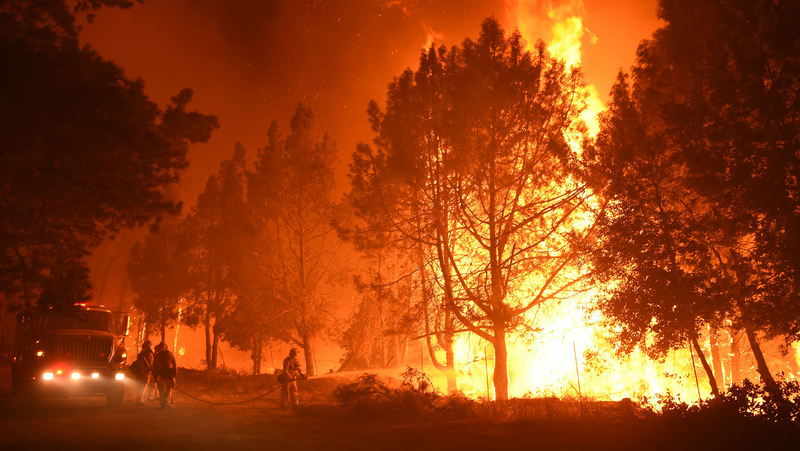 If you’ve been watching California burn, ( a planned event, by the way ) and you know that California, like Florida, gives us produce, you’ll surmise what will happen next. There is a clandestine plan to destroy huemanity called Agenda 21. This is real and no, I’m not a follower of Alex Jones. The French Prime Minster just made a bone chilling speech about how African girls/ women are simply having too many children and how proper education is needed for them. Funny…when whites were able to reproduce, not one word was ever said about them having too many offspring. With California on fire and the air quality being worse than China, what will happen to farmland? It will cease to exist. As many of you know, my background is soil. Growing food and animal husbandry is what makes my world go ’round. If the PH balance is off, no food grows. If the water quality is bad, no food grows. If the animals are gone ( especially bees, butterflies and earthworms), no food grows. In 2019, we will experience a MASS food shortage. What will be the outcome? Expect to pay more for milk, honey, bread ( bread is made from wheat ) and all forms of protein. Expect the water to turn brown like in Flint, Michigan. Expect your electric bill to skyrocket. Rothschild controls it ALL. Air travels so those in neighboring states will feel the pain. Ever see a hungry man? He’s not happy. And unhappiness makes people do crazy things. With the growing racial tensions, blacks will be especially vulnerable. Have you been following my warning and stocking up on food?